Saudi officials murdered journalist Jamal Khashoggi in their Istanbul consulate after plotting his death for days, Turkey's president said Tuesday, contradicting Saudi Arabia's explanation that the writer was accidentally killed. He demanded that the kingdom reveal the identities of all involved, regardless of rank. 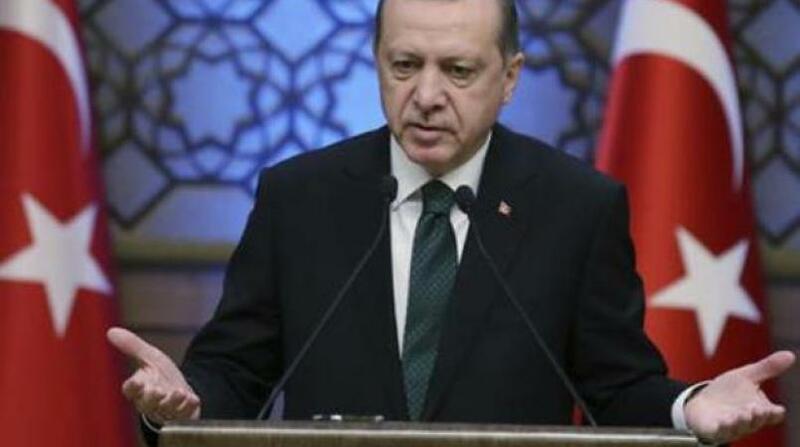 President Recep Tayyip Erdogan also said he wants Saudi Arabia to allow 18 suspects that it detained for the Saudi's killing to be tried in Turkish courts, setting up further complications with the Saudi government, which has said it is conducting its own investigation and will punish those involved. "To blame such an incident on a handful of security and intelligence members would not satisfy us or the international community," Erdogan said in a speech to ruling party lawmakers in parliament. "Saudi Arabia has taken an important step by admitting the murder. 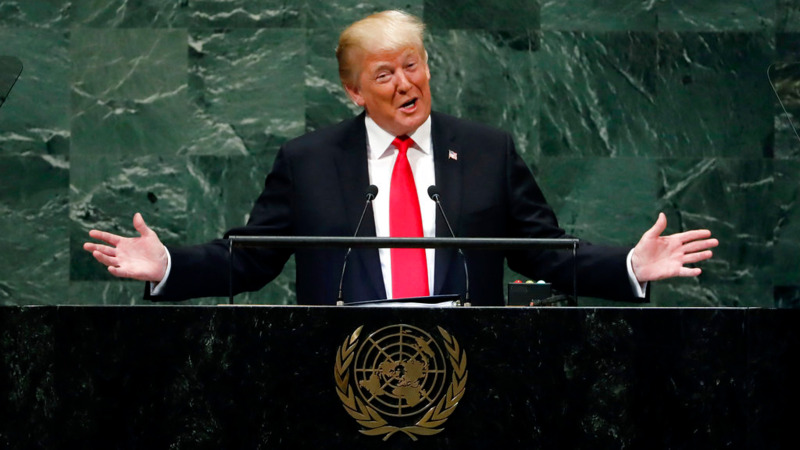 As of now we expect of them to openly bring to light those responsible — from the highest ranked to the lowest — and to bring them to justice," the Turkish president said. Erdogan's speech was previously pitched as revealing the "naked truth" about Khashoggi's slaying. Instead it served merely to put a named source to information already circulated by anonymous officials and the Turkish press in the days since the columnist for The Washington Post walked into the Saudi consulate in Istanbul. However, he kept pressure on the kingdom with his demands for Turkish prosecution of the suspects as well as punishment for the plot's masterminds. "All evidence gathered shows that Jamal Khashoggi was the victim of a savage murder. To cover up such a savagery would hurt the human conscience," he said. Erdogan didn't mention Saudi Arabia's assertive Crown Prince Mohammed bin Salman in his speech, though officials linked to the royal have been implicated in the killing. The kingdom has said the heir-apparent of the world's top oil exporter was not involved, but any major decision must be signed off by the highest powers within its ruling Al Saud family. International skepticism has intensified since Saudi Arabia said on Saturday that Khashoggi died in a brawl. The case has shocked the world and raised suspicions that a Saudi hit squad planned Khashoggi's killing after he walked into the consulate on Oct. 2, and then attempted to cover it up. Before Erdogan's announcement, top Turkish officials said Turkey would clarify exactly what happened to Khashoggi and a stream of leaks to national and international media has increased pressure on Saudi Arabia, which is hosting a glitzy investment conference this week that many dignitaries have decided to skip because of the scandal. Saudi Arabia said it arrested suspects and that several top intelligence officials were fired over the killing, but critics alleged that the punishment was designed to absolve Prince Mohammed of any responsibility. 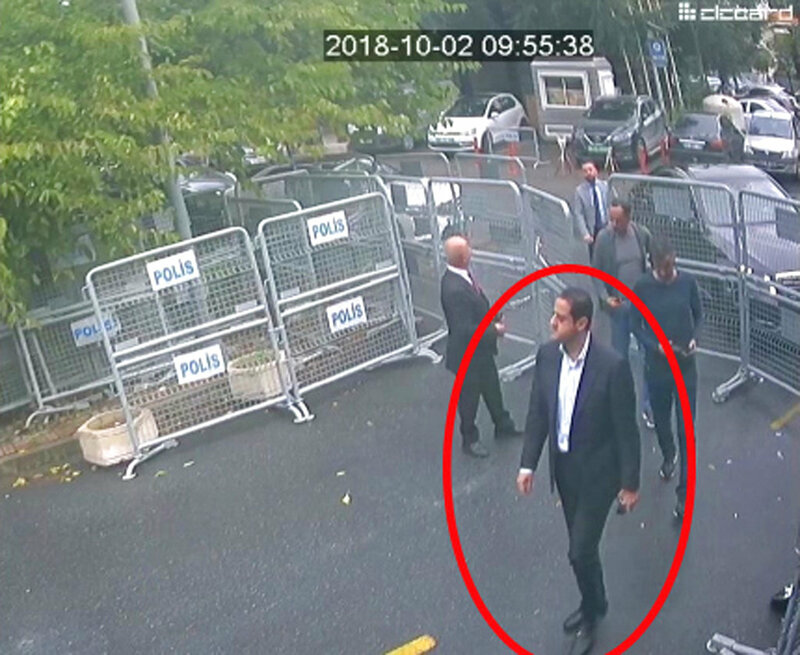 On Monday, leaked surveillance video showed a man strolling out of the diplomatic post hours after Khashoggi disappeared into the consulate, apparently wearing the columnist's clothes as part of a macabre deception to sow confusion over his fate. The new video broadcast by CNN, as well as a pro-government Turkish newspaper's report that a member of Prince Mohammed's entourage made four calls to the royal's office from the consulate around the same time, put more pressure on the kingdom. 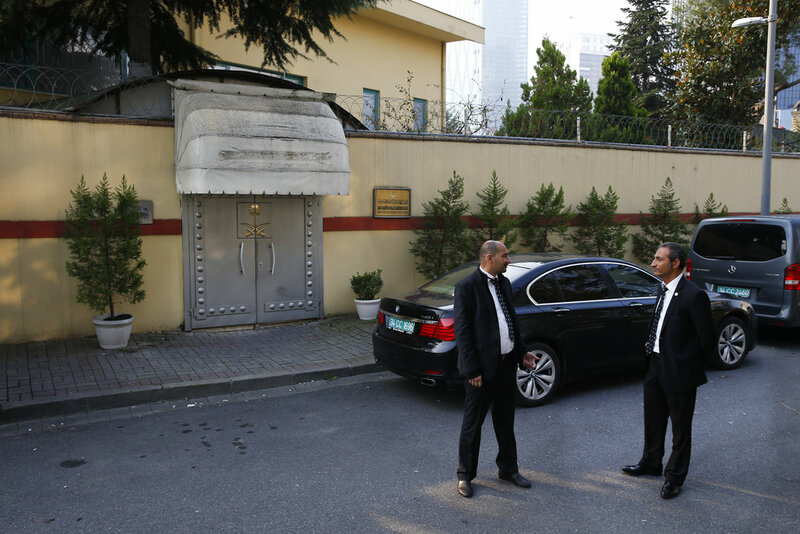 Meanwhile, Turkish crime-scene investigators swarmed a garage Monday night in Istanbul where a Saudi consular vehicle had been parked. Saudi Arabia's foreign minister, meanwhile, said Tuesday the investigation into the killing of Khashoggi would produce the truth about what happened and that his country was committed to ensuring "that the investigation is thorough and complete and that the truth is revealed and that those responsible will be held to account." Foreign Minister Adel al-Jubeir, in Indonesia, also pledged that mechanisms will be put in place so that "something like this can never happen again."